The practical means by which life`s aims and purposes can be accomplished have been taught for centuries by enlightened teachers. With this book, the transmission of this helpful knowledge continues. kriyas are "actions" performed to resist, weaken, and remove mental and physical conditions which blur, distort, and restrict our awareness.Removal of these obstacles allows yoga--the return of awareness to its original, natural state of wholeness--to be consciously realized. 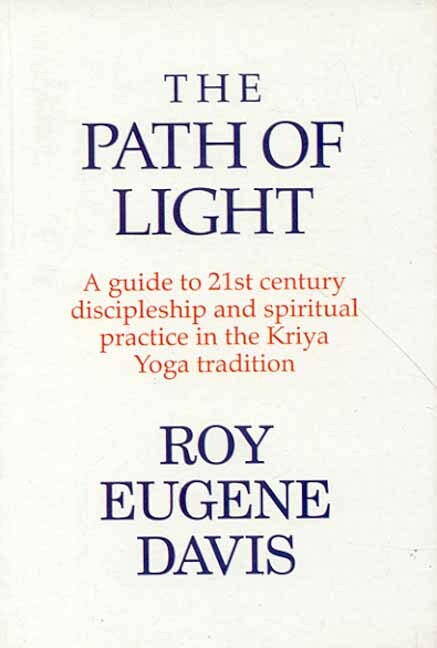 Because attentive practice of Kriya Yoga methods purifies the mind, improves overall health, clarifies awareness, increases receptivity to grace, and quickens spiritual awakening, it is referred to as the path of light. These principles and practices are based on natural laws that can be discovered and verified by anyone.